A week ago we ventured out reluctantly (given the temperatures) to see Mike Heron and the Trembling Bells at Exeter Phoenix. It had been billed as a standing gig, so we were relieved to find that the venue had actually been laid out with tables & chairs and that the evening was not going to be a repeat of the Johnny Marr sweat-bath a week or so earlier. 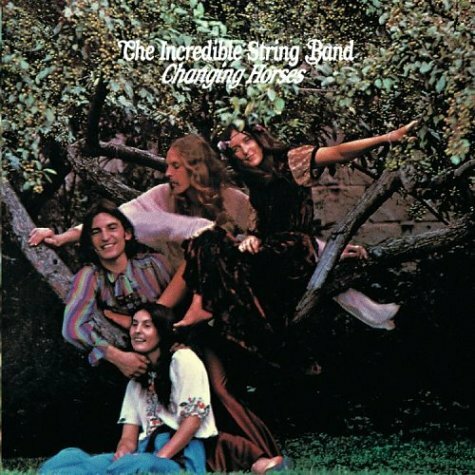 I must admit that I wasn't familiar with the Trembling Bells and that my knowledge of Mike Heron really dated from Changing Horses - an album recorded after Heron and Williamson had given up drugs and converted to scientology which, unsurprisingly, was not regarded as one of the Incredible String Band's best. I remember my own art college days so well.... Incredible String Band...."How sweet to be a cloud, floating in the blue...."
I'm glad you follow my criminal thoughts... I review books for a website so for me the audio route provides alternative books (of my own choice). Also good when one has a headache and can't squint. For painting, making things, ironing or sitting in waiting rooms. No good for listening in bed...you fall asleep and no idea where you are in the book two hours later!! Hope that college thing is going well. A great spread of photos. I think that spotlight at the back was the one which kept sweeping over me, until I shuffled back into the shadows. Thanks for the kind words and links over to my review.